This musical was all about one woman - not sharpshooter Annie Oakley, but the singer playing her - Emma Williams. Her spectacular voice stole every scene she was in and made it obvious that she has a very promising illustrious career ahead of her. Actor Jason Donovan, playing love interest Frank Butler showed the charisma of his celebrity status plus a good chemistry with his leading lady. His voice, however, seemed weak in comparison to the perfected tones of Williams, particularly in the song Anything You Can Do I Can Do Better. The audience was left in no doubt at Williams' talent as she held a note for at least a minute, maybe two. 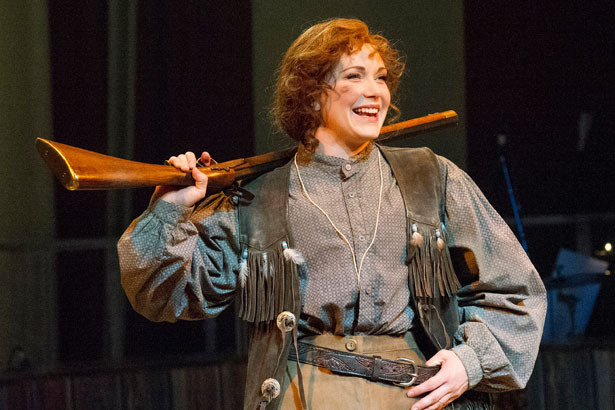 Annie Get Your Gun is based on the true story of Annie Oakley, who starred in Buffalo Bill's Wild West Show due to her outstanding shooting abilities at a time when it was unusual for women to have such skills. 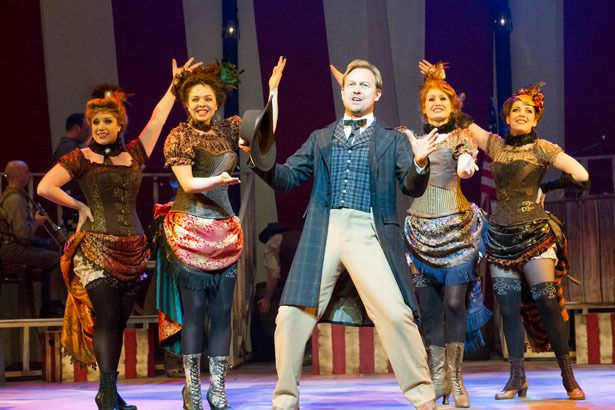 This musical, described as songwriter Irving Berlin's greatest achievement in the theatre, is a fun, romantic tale showing Annie's rise to fame and off-on relationship with rival showman Frank Butler. What makes it stand out are the timeless songs - There's No Business Like Showbusiness, Doin' What Comes Naturally and, of course, Anything You Can Do I Can Do Better. The role of Annie is a feisty one and has been played over the years by some of theatre's leading performers - Bernadette Peters, Suzi Quattro and Jane Horrocks to name a few. Williams is another gutsy Annie and her voice is so gentle and tender as she performs Moonshine Lullaby that it hypnotizes the audience. She has already won the Arts Correspondents' Award for Best Newcomer as Truly Scrumptious in Chitty Chitty Bang Bang along with Olivier nominations for other roles and it surely won't be long before she wins more awards. The action takes place under sweeping red and white striped sheets of a big top and Norman Pace, better known as half of comedy duo Hale and Pace, is a suitably amiable master of ceremonies with a surprisingly good singing voice. 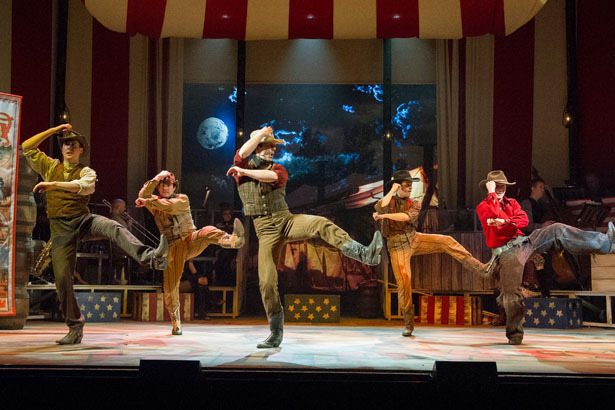 There's plenty of yee-hahs, cowboy hats and dazzling bodices, plus a bit of gun action, but it's the music and those songs that you'll take wiith you, humming There's No Business Like Showbusiness for days to come. If you like musicals, make sure you see this one. On Saturday July 5, Jonathan Wilkes will play the role of Frank Butler instead of Jason Donovan). Malvern Theatres - July 29 - Aug 2. Tickets cost from £13.40 - £41.90 from the ATG theatre ticket website. For tickets visit the ATG ticket website.